Epsilon Talk » Blog Archive » What is WSMA? Are you interested in getting more involved with math this coming school year? 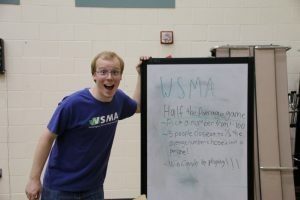 If you’re in high school, one great way to get started is to join the Washington Student Math Association (WSMA) leadership team. We are a student-driven nonprofit organization that allows team members themselves to take action in various ways with the ultimate goal of promoting math-related activities in our community while highlighting the beauty in the application of mathematics. 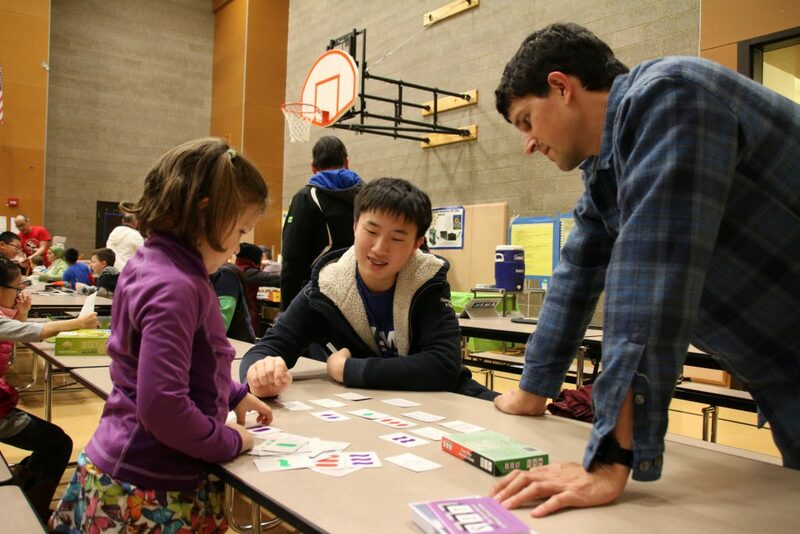 Some of the specific things we do to promote math-related activities are plan annual math events and host workshops. 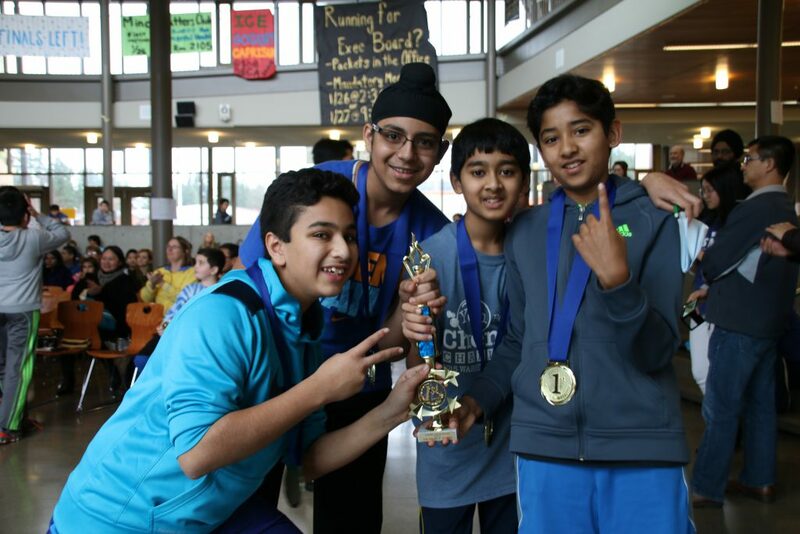 One of the main events we hold is an annual math competition, Math Bowl, which takes place every year in January. The team plans the entire event; we write the problems, sort out logistics, and publicize the event. The competition is usually split into three sections, each with different kinds of problems. For example, our speed round encourages kids to think on their feet and practice mental math skills. Kids’ ages range from 4th-6th grade and they usually compete in teams of 3 or 4. We also organize Math Mania every year. But unlike Math Bowl, Math Mania is less of a competition and more of a way to expose kids to a broader range of math problems than they might see in school and spark their interest in math. We provide competition-based math problems and offer rewards and prizes for the kids who solve them. Members of our team also help kids with problems they’re struggling on. Our events are generally catered towards elementary to middle school students. Additionally, we work to provide a multitude of resources on our website, www.wastudentmath.org, including information about how to start a math club, math events and competitions, and math-related summer programs. We are constantly adding to and updating the website, as it is a major way we reach out to the community. If you have more ideas on how to expand our community outreach, WSMA will provide the resources and means to make it happen. In fact, we encourage our team members to act on their ideas and make them a reality. We’re always looking for more enthusiastic members to join our team. If you’re just as passionate about math as we are, come to one of our meetings! 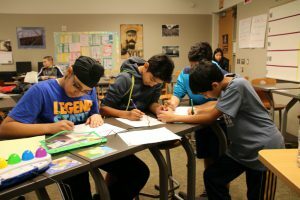 We hold them most Sundays from 4:30 p.m. to 6:30 p.m. at the Sammamish Microsoft Building C. The meetings and events also count for volunteer hours if those are a requirement for your school. for For more information about WSMA and how to join, contact us through email at contact@wastudentmath.org.